Jakarta. Indonesia's Transportation Ministry finally released a regulation on the use of online motorcycle taxis on Tuesday (19/03), providing a long-awaited legal framework for the popular service. Motorcyle taxis, known as ojek, were not recognized by Indonesia's transportation law, leaving large chunks of the multi-billion dollar business in legal grey area. The newly released regulation will have provisions on standard fares, customer safety and the nature of partnership between driver-partners and online ride-hailing companies. It also stipulates that standard motorcycle taxi fares should take into account operational costs, including the cost of running ride-hailing apps, but stops short from setting a much-desired minimum fare. Ojek drivers have long called for a minimum fare of Rp 3,000 (21 cents) per kilometer to guarantee them a decent daily income. But ride-hailing companies like Go-Jek Indonesia and Grab have been reluctant to set the so-called "floor price," as it may undermine their competitiveness. "The minimum fare could be included in a Transportation Ministry decree later on," Budi Setiyadi, general director of land transportation of at the Transportation Ministry, told BeritaSatu on Monday. The fare would likely be revised every three months, he added. The operational costs of running an ojek are myriad: vehicle depreciation, capital interest, drivers' fees, insurance, vehicle tax, fuel, tires, maintenance and repair, mobile phone depreciation, internet usage and drivers' profit. The ministry is still trying to work out a minimum fare that will keep both driver-partners and ride-hailing companies happy. 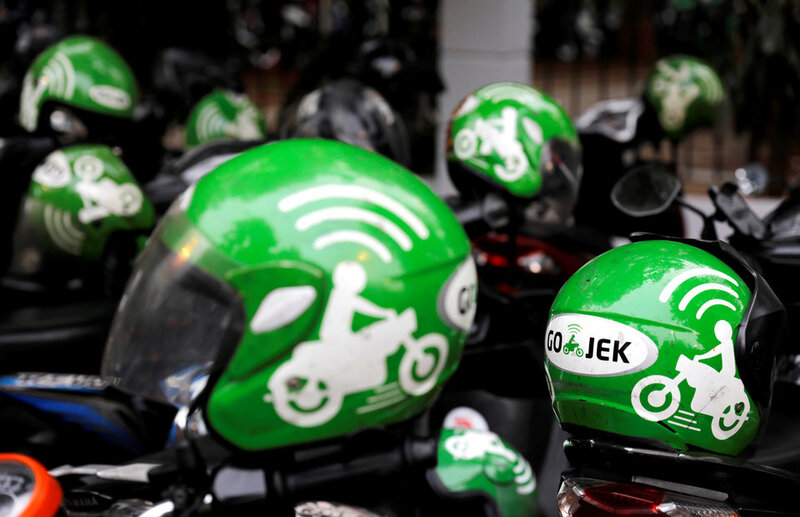 "The ministry has arranged a meeting with two online motorcyle taxi companies, Gojek and Grab, to discuss the minimum fare," Budi said, as quoted by CNBC Indonesia. According to Budi, drivers are demanding a minimum fare of Rp 2,400-Rp 3,000 per kilometer, but ride-hailing companies are standing firm with their offer of Rp 2,000-Rp 2,100 per kilometer. Budi said a Rp 2,500 per kilometer minimum fare could be a good compromise, giving the drivers Rp 2,200 per kilometer after a 20 percent cut. The ministry will also hear proposals from the Indonesian Consumers Association (YLKI) on standards of service expected from ride-hailing companies and their driver-partners. To improve customer safety, the new regulation specified requirements for drivers which include having valid driving licenses and adequate knowledge of street routes, wearing uniform and following traffic rules. Ride-hailing companies will also be required to design an in-app "panic button" that both drivers and customers can use in emergencies. Accident compensation, complaint and dispute settlement and insurance will also be regulated under the new law. To improve relationships between driver-partners and their companies, the regulation stipulates standard procedures for hiring and suspending drivers. The ojek business is part of a booming ride-hailing industry in Indonesia that has been growing by 58 percent every year since 2015, and projected to be worth $14 billion in 2025 from just $3.7 billion today, according to a study by Google and Singapore wealth fund Temasek released late last year.